Wadena Air Force Station (1950-1970) - A Cold War U.S. Air Force Radar Station. Located near Wadena in Wadena County, Minnesota. Initially assigned a Permanent ID of P-17 and later a Sage ID of Z-17. Closed in 1970. Established in 1950 during the Korean War and activated on 20 May 1950 as Leaf River Radar Site operated by the 132nd Aircraft Control & Warning (AC&W) Squadron of the Minnesota Air National Guard as a Ground Control Intercept (GCI) radar site. Reassigned to the Air Defense Command (ADC) on 1 Jun 1951. The 132nd was deactivated on 1 Feb 1953 and reactivated as the 739th AC&W Squadron on the same day. On 1 Dec 1953 the site was redesignated Wadena Air Force Station manned by the 739th AC&W Squadron. Initial equipment included one FPS-3 search radar and one FPS-4 height-finder radar. The FPS-4 was replaced by a FPS-6 height-finder in 1956. By 1958 the FPS-3 search radar had been replaced with a FPS-20 search radar. In 1959 a second height-finder radar, a FPS-6A was added. This configuration met the requirements for the transition to SAGE System operation. 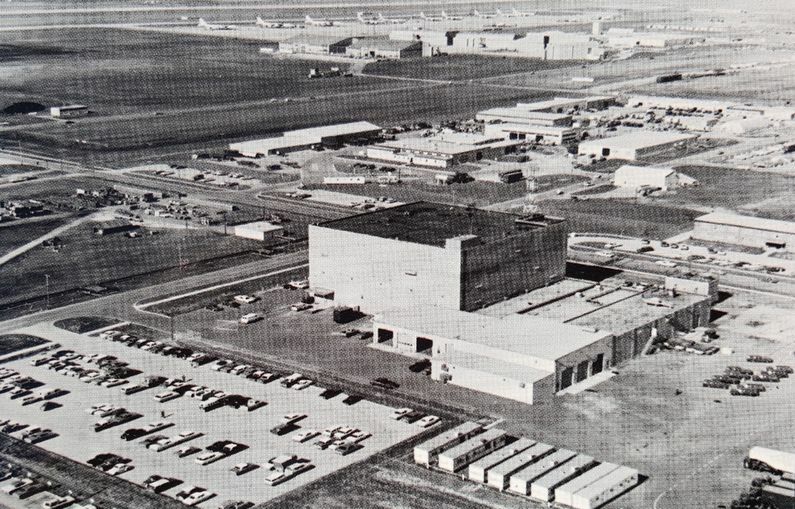 The site began operation as a SAGE site in 1959 initially feeding the Grand Forks SAGE Direction Center DC-11. With the closure of the Grand Forks SAGE Direction Center DC-11, contol of Wadena AFS shifted to Duluth SAGE Direction Center DC-10 where it remained until Wadena AFS closed in 1970. The FPS-20 search radar was upgraded to the FPS-64 configuration in 1962 and then to the FPS-64A configuration in 1967. The FPS-6A height-finder was upgraded to the FPS-90 configuration in 1963 and was removed in 1969. Wadena AFS and the 739th were deactivated on 30 Sep 1970. Wadena AFS was responsible for the maintenance of two remote unattended gap-filler radar sites. The unattended gap filler sites were placed in locations where the main search radar lacked coverage. These sites were equipped with short range FPS-14 or FPS-18 search radars and FST-1 Coordinate Data transmitters that sent digitized radar target data to a SAGE direction center and to the main radar site. Both the radar set and the FST-1 were dual channel to increase site up time. Maintenance teams were dispatched for regularly scheduled maintenance or when fault indicators on the FSW-1 remote monitoring equipment suggested the site had problems. The FSW-1 also allowed remote operation of specific functions such as channel changes for the radar and for the FST-1, it also allowed remote operation of the diesel generators at the gap filler site. The Wadena AFS gap-filler radars were located at Elbow Lake, MN and Bagley, MN. Two additional gap-filler sites were contemplated but were not built. The physical plant of the site was divided into the main site, a cantonment area, a housing area and a radio site. The main site housed the operations buildings, the radar towers, and the backup generators. The cantonment area housed the enlisted barracks, the bachelor officer's quarters, the orderly room, the dining hall, the motor pool and other support buildings. Apart from the main site was a small 27 unit housing area (originally only 9 units built in 1954 with the remainder built in 1958) for married personnel. A separate radio site housed the radio equipment for directing aircraft intercepts. Like most early radar stations, Wadena originally had a radio transmitter site and a separate radio receiver site used by local controllers for voice direction of fighter interceptors to their targets. With the SAGE System, the SAGE Direction centers had the primary task of directing intercepts and the local radio sites were reconfigured, usually into a single site that was known as the Ground to Air Transmitter Receiver (GATR) site. The GATR site communicated with the interceptors from either the local site or the SAGE direction center via voice commands and/or a digital data link. Minnesota ANG unit called to active duty for 21 months. 4 Jun 1951 - Transferred to 543rd AC&W Group. 6 Feb 1952 - Transferred to 31st Air Division. 1 Feb 1953 - 132nd AC&W Squadron relieved from active duty and returned to state control. 1 Feb 1953 - 739th AC&W Squadron activated at Leaf River, MN, assigned to 31st AD. 1 Dec 1953 - Site redesignated to Wadena AFS, MN. 15 Jan 1960 - Redesignated from AC&W Sq to 739th Radar Sq (SAGE). 30 Sep 1970 - Inactivated. Note: List is from Wadena Historical Society link, no dates provided. Now part of Bell Hill Recovery Center. Location: Wadena in Wadena County, Minnesota. Cornett, Lloyd H. & Johnson, Mildred W., A Handbook of Aerospace Defense Organization (1946-1980), Office of History ADC, Peterson AFB, Colorado, 31 Dec 1980, 179 pages, Pdf, page 163.